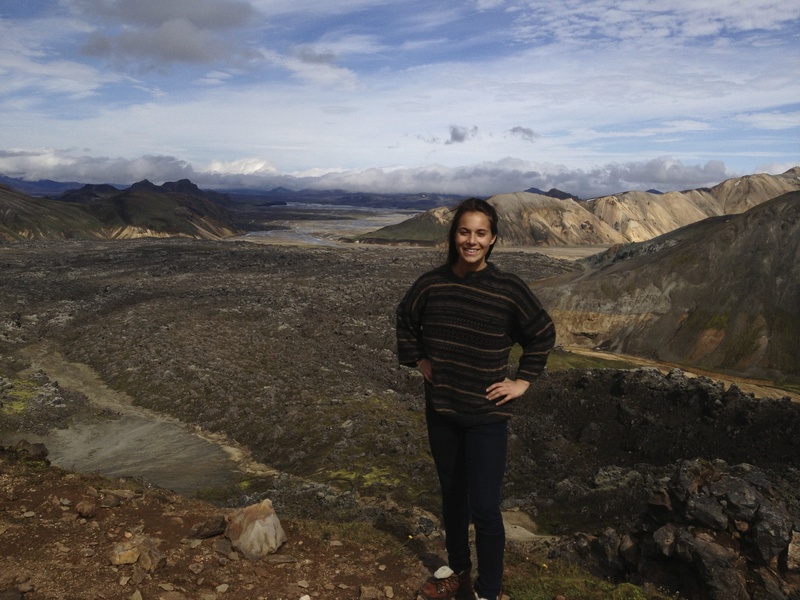 Last summer I studied abroad in Iceland. 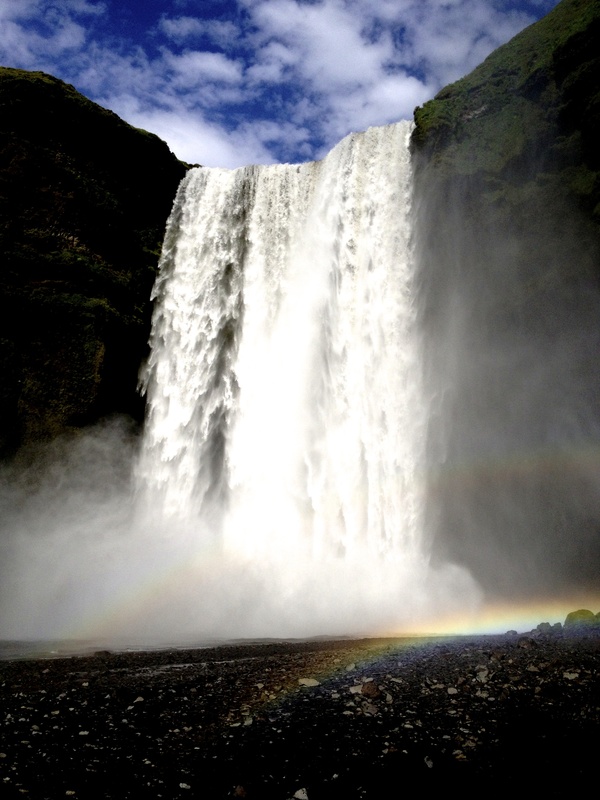 A country at the forefront of renewable energy, Iceland has the potential to be a global leader in sustainability. 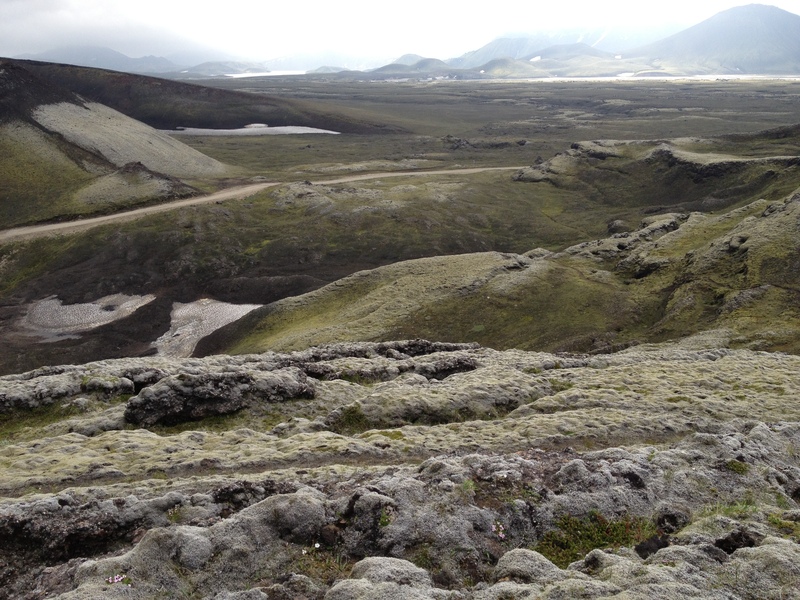 Its energy is almost entirely powered from geothermal and hydroelectric and thus it is capable of an exceptionally small carbon footprint. 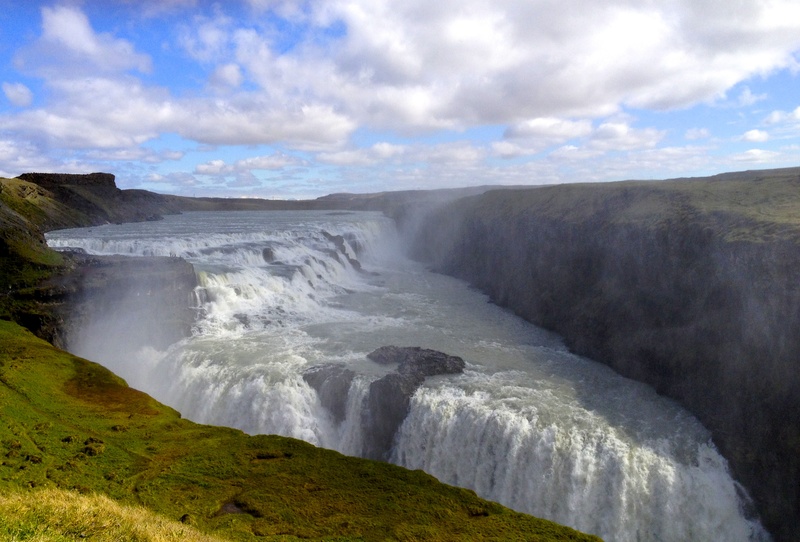 However, there is no drive for this among the Icelandic people. Lights are kept on throughout the daytime and cars are driven for errands just down the street. This contrasts remarkably with an earlier visit I made to Peru. The Peruvians lack many of the resources we take for granted in the United States and yet the environmental devastation they live within—littered streets, polluted air, and dirty water—causes no alarm among its citizens. There are three dimensions to sustainability: social, economic, and environmental. Strong sustainability requires a balance between these three pillars—without economic stability, the government cannot implement environmental regulations and cannot provide the environmental education necessary to create a “green” movement among its people. The environmental degradation in Peru is largely due to the government’s lack of action. It is the government’s responsibility to provide its people safe, clean resources. Unfortunately, environmental law in Peru is not well enforced. Additionally, Peru has not prioritized developing renewable energy resources (although recently there has been a push for increased solar energy – hopefully that marks a turning point for Peru). And so I experienced countries at very opposite sides of a sustainability spectrum: one which economically cannot give the attention to environmental awareness that is warranted by the pressing reality of climate change and yet needs it sincerely, and another that is privileged with all that is required of an ecologically conscience nation and without the motivation to push for it among the people and culture. After travelling to both of these beautiful countries I found myself very frustrated. Climate change looms on the horizon and the consequences of a warming planet are reason for great concern. 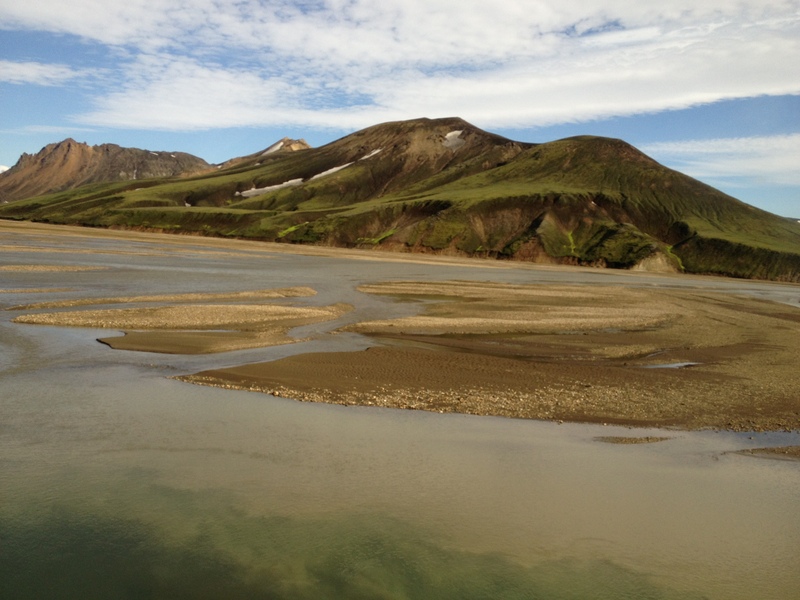 The extent of climate change is not fully understood but what has been acknowledged is that the amplified rate at which it is occurring can be attributed to anthropogenic behavior. And this is not spread uniformly throughout the globe. Wealthy nations are contributing greatly to greenhouse gas emissions yet it will not be these same countries that most severely feel the threat of climate change. And what is even more upsetting is that the developing nations that will suffer the greatest because they do not have the economic strength and political stability to combat global warming are also mostly unaware of the dangers to come because there are many more pressing issues to confront such as inadequate food and poverty. So if the disparity between developed and developing nations was not already distressingly thick, climate change will surely broaden it further. It is therefore the responsibility of countries such as the United States, who have the finances and the technologies, to lead our planet to a more sustainable future. The carbon emissions released by the United States does not solely affect our own citizens. It is a global crisis and so every car we drive, every coal power plant we construct, every long shower we take, and every technological device we keep plugged in is slowly yet catastrophically warming the entire planet. So, what should we do to reduce the climate change inequality that plagues our world? It starts at a local level. It requires cooperation and collaboration between leaders, businesses, and residents of a community and it demands environmental education. Additionally, climate change inequality is not just found on the global scale. Even within the United States itself this disproportion is present. There are coastal cities at risk of flooding from sea level increase and yet they are not any more responsible for greenhouse gas emissions than the nation’s interior cities. Even on the micro scale this disparity is felt where industrial establishments directs emissions towards poverty stricken neighborhoods who cannot afford to fight this discrimation. UConn is committed to doing its part to help these efforts. In 2006 a co-generation plant was constructed to replace the previously used oil-fired utility. The co-gen burns natural gas, a cleaner fuel than oil and coal, and thus capable of reducing carbon dioxide emissions by up to 300,000 tons each year. It captures and utilizes steam to prevent efficiency loss. In 2008 former President Hogan signed the American College and University Presidents Climate Commitment (ACUPCC). This committed the university to carbon neutrality by 2050. The co-gen plant is just one of many technologies implemented by UConn to help assist in its mission towards carbon neutrality. UConn also has a fuel cell at the Depot campus, a bike and car sharing program, a reclaimed water facility, and much more. But change cannot solely be acquired through better infrastructure and technology. We must demand a difference. This requires the voices of UConn’s students, staff, and faculty. 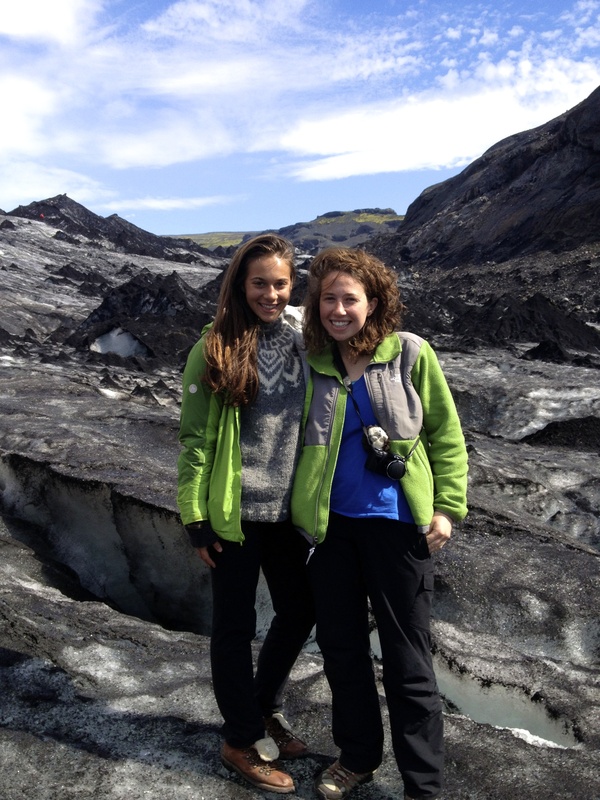 It necessitates a new university culture that is eco-conscience and environmentally aware. 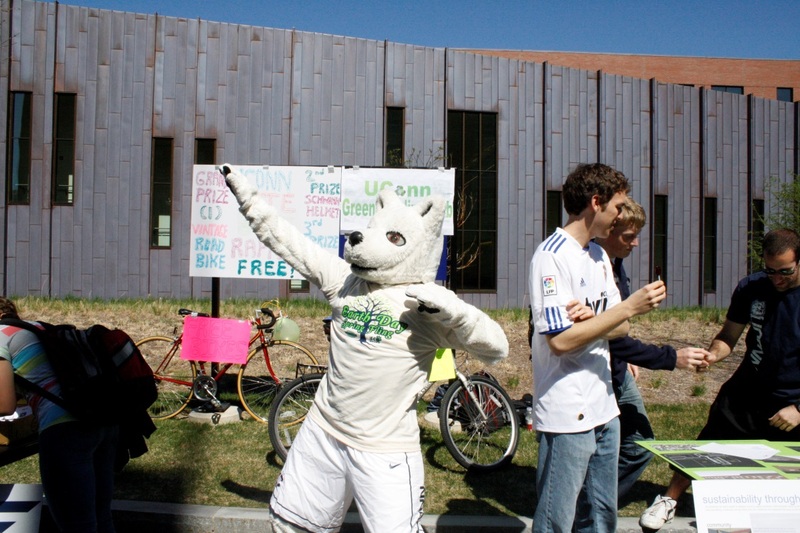 UConn has many sustainability related courses and research opportunities. 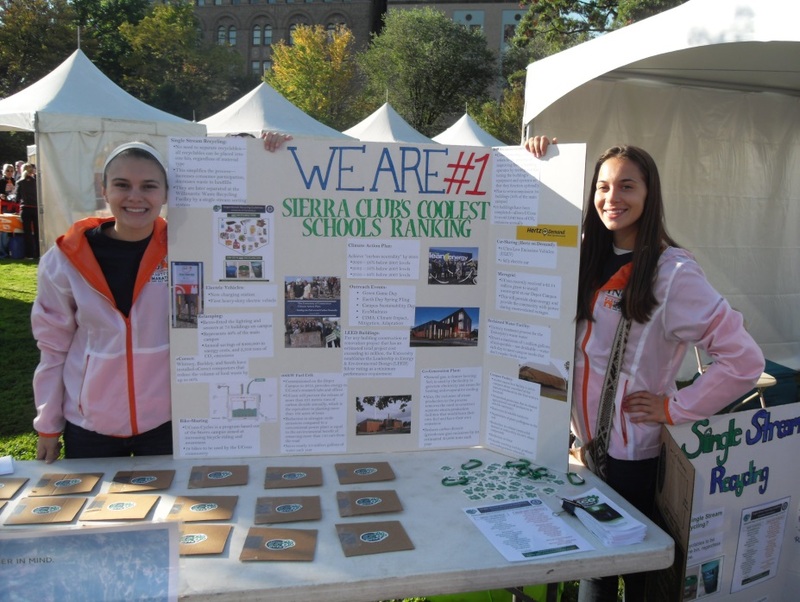 It has clubs and events that allow student participation. And it has many individuals who care greatly about playing their role in environmental stewardship. UConn is forging a path. It is setting precedence for universities throughout the country and throughout the globe. UConn is a leader in sustainability and is challenging the fight against climate change inequality. 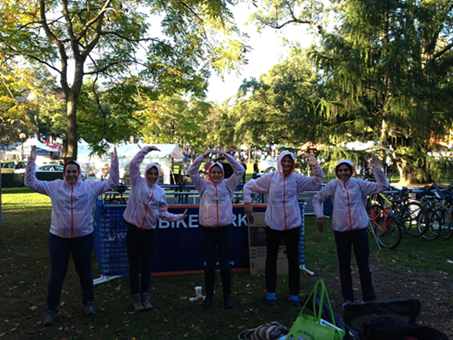 The annual ING Hartford Marathon was held on Saturday, October 12th in Bushnell Park. 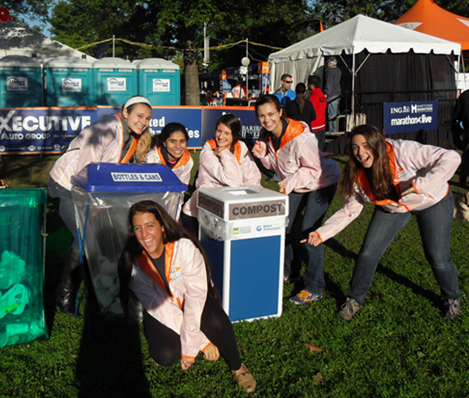 This year, EcoHusky and EcoHouse volunteers partnered with ING to help educate the runners and their family and friends on the importance of composting, as well as to promote UConn’s Sierra #1 Coolest Schools Ranking. 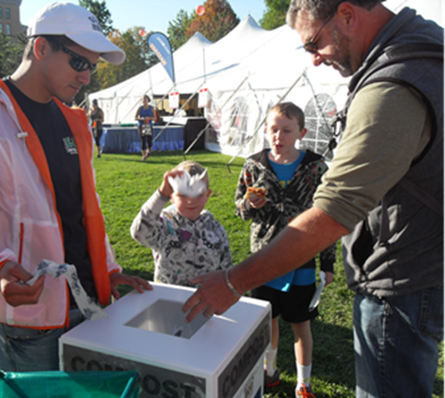 Approximately 30 volunteers attended the event and helped “man-the-can.” Garbage, recycling, and composting bins were placed together and volunteers monitored and instructed on the disposal of waste. Like UConn, Hartford also has single stream recycling. This means that any recyclable—glass, metal, paper, plastic—can be placed in the same bin and it will later be separated at a recycling facility. This simplifies the process of recycling and promotes consumer participation. 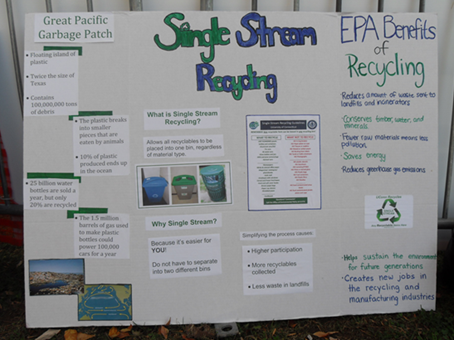 Both UConn and Hartford have single stream recycling – any recyclable can go in any bin! EcoHusky Officers spell out UCONN! Runners were provided with an assortment of food options after their race including bagels, apple crumble, and grilled cheese. They were advised on what food is compostable—this applies to most products but excludes dairy and meat and thus some food had to be disposed of in the garbage bins. Fortunately, however, runners were given their food on compostable plates with compostable napkins so only the plastic spork could not be composted. Composting is an earth-friendly way to reduce methane emissions from landfills and support carbon footprint reduction. It enriches soil, helping retain moisture and suppress plant diseases and reduces the need of harmful chemical fertilizers. Compost can be used on your yard and saves money. 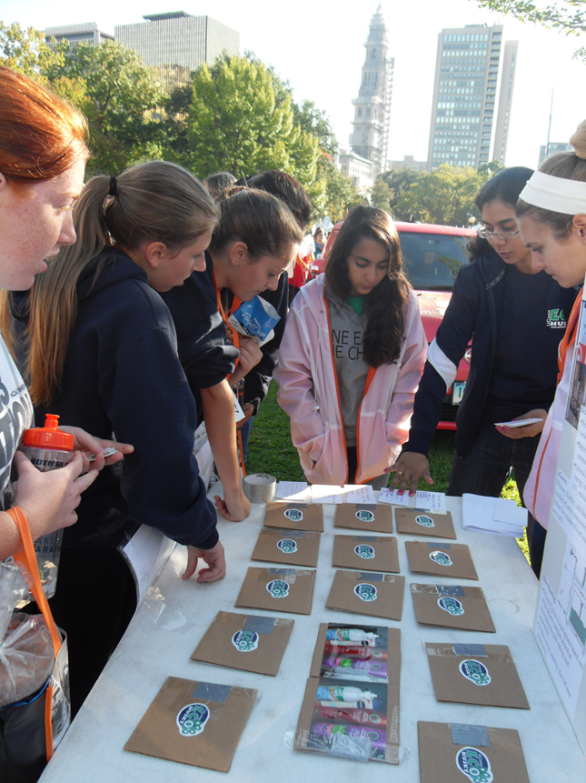 EcoHusky members also set up a table in the park where they had a memory-matching recycling game and sustainability themed trivia questions to engage those passing by. 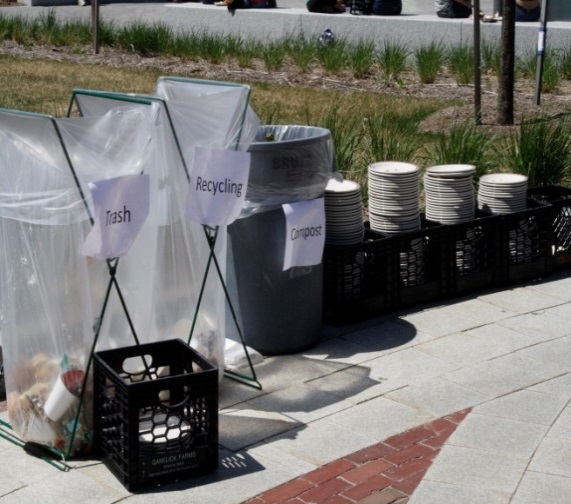 In addition to promoting composting, this served as an opportunity for volunteers to inform members outside of its own community about the many sustainability initiatives and programs at UConn. Runners come from all throughout Connecticut to participate in the marathon so it offered UConn the occasion to discuss our recently earned Sierra #1 Coolest Schools ranking.